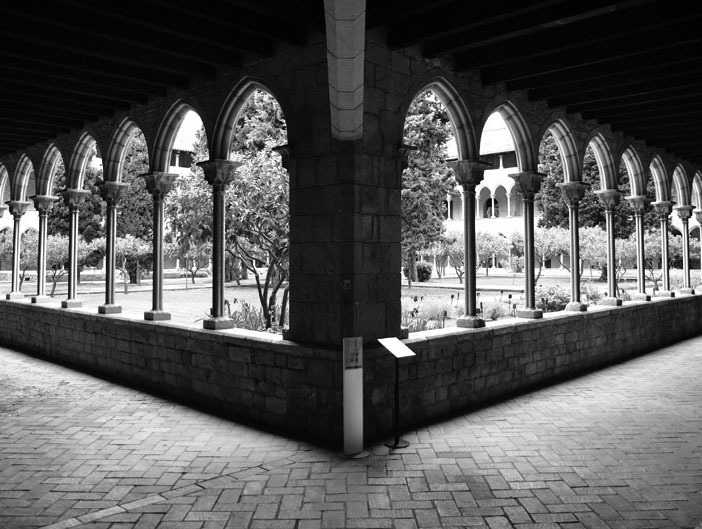 Pedralbes Monastery, a Catalan Gothic jewel, the Güell Pavilions and radiant contemporary architecture connect an immersion in what was once conceived as a garden city. The end of the route in a mall -L’Illa Diagonal Shopping Center- is coherent with the nature of garden urbanism and sociology. However, a radically different concept transforms those indoors and artificial containers into urban real concern, into transparency with the street and the city life. Junction of Pelai Street and the beginning of La Rambla (under the entrance canopy of El Triangle Shopping Center), across from Catalunya Square. (see map) * Please arrive 10 minutes before departure. Tickets will be paid through PayPal https://www.paypal.com/ at least 48 hours before the day of the route. After payment, participants will receive an email of architour to confirm the route which was reserved and paid. – Up to 48 hours before the route: 50% of the fare will be refunded. Full personal route dossiers, travel on Catalan railway (FGC) and a ticket to Pedralbes Monastery are included.A final espresso at L’Illa Diagonal Shopping Center is also included to draw conclusions.